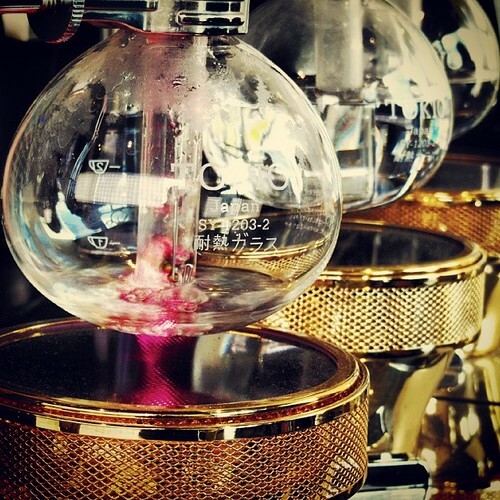 We had an all-African siphon menu this past week, and everyone loved these coffees! Kenya Nyeri Ndaro-ini AB has been superb on siphon. Ndaro-ini Factory is near Karatina town in the Nyeri District f central Kenya and is part of the Gikanda Cooperative Society, which is made up from the Gichatha-ini, Kangocho, and Ndaro-ini Cooperatives. The name takes the first few letters of each factory/wet mill. Ndaro-ini Factory sits at about 1600 masl, and is planted mostly with SL-28 varietal, which is consistently the top Kenyan varietal. In the cup it’s juicy blackberry and apple with honey sweetness and a balanced cinnamon and cardamon spice essence. An incredible coffee.